The Literary Liberation Box provided a huge amount of material to help booksellers use IndieBound to promote their stores ... and that may have left some wondering exactly where to start. Stephanie Anderson of Moravian Book Shop in Bethlehem, Pennsylvania, has helped ABA create an easy, 10-step guide, based on her experience introducing IndieBound to her bookstore and to the surrounding community. There is still time to nominate titles for the 2008 Banned Books Top Ten. The Banned Books list is timed so that booksellers can use these titles and the list in conjunction with Banned Books Week displays and related events. (Banned Books Week is scheduled this year for September 27 to October 4.) The list features titles (both for adults and for children) that have been banned or challenged in bookstores and/or libraries. Here's a preview of the August Indie Next List now on its way to ABA member stores in the IndieBound movement. When Vicky Uminowicz of Titcomb's Bookshop in East Sandwich, Massachusetts, received her store's IndieBound "Eat Sleep Read" poster, she immediately knew it would be too big for the store's multi-paned colonial windows. However, Uminowicz did have the perfect place for the big red poster: on the back of the bookstore's red, white, and blue Fourth of July parade float. Based on sales at hundreds of independent bookstores nationwide for the 12-week period ending July 8, 2008. PC Magazine's AppScout, which "scour[s] the world in search of the best software, sites, and Web apps," recently named IndieBound.org to its list of "Cool Web Sites." The summer reading season is kicking into high gear, and so is IndieBound.org. A number of innovative features have recently been added to help consumers find great titles... and nearby indie bookstores. The July 2008 Indie Next List Notables flier is now available in a downloadable PDF on BookWeb.org. 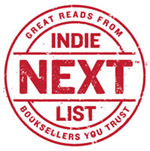 The redesigned flier joins and amplifies the other new IndieBound materials, especially the new Indie Next List fliers, which debuted with the July list. Over the next several months, American Booksellers Association staff will be visiting locations around the country to answer questions, share ideas, and help position bookstores to take advantage of IndieBound and all that it has to offer. As Americans gear up for next week's Fourth of July celebrations, ABA member booksellers are using IndieBound marketing materials to create or supplement their own unique "Independents" promotions. 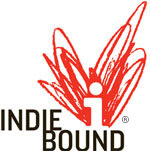 Claire Klassen couldn't wait to return home from BookExpo America and start using IndieBound at Austin, Texas' BookPeople. "We are the perfect environment to spread the message of 'independents,'" she explained.